The sunset is coming, and winds make plants move as if they are dancing. Even though clouds try to cover the world, winds try to prevent them. When winds get angry, nobody can prevent them. However, winds are in a good mood today. Winds are completely moody. Sometimes they make people happy, and sometimes people feel irritation to them. People sometimes give them complain, sometimes give them compliments. People think people dominate the world, but it may be not true. Winds can control even people’s emotion. Everything may be dominated by winds. Winds must be the king of the world. The other day, there was serious terrorism in Paris. At least, 120 people died, and many people injured. 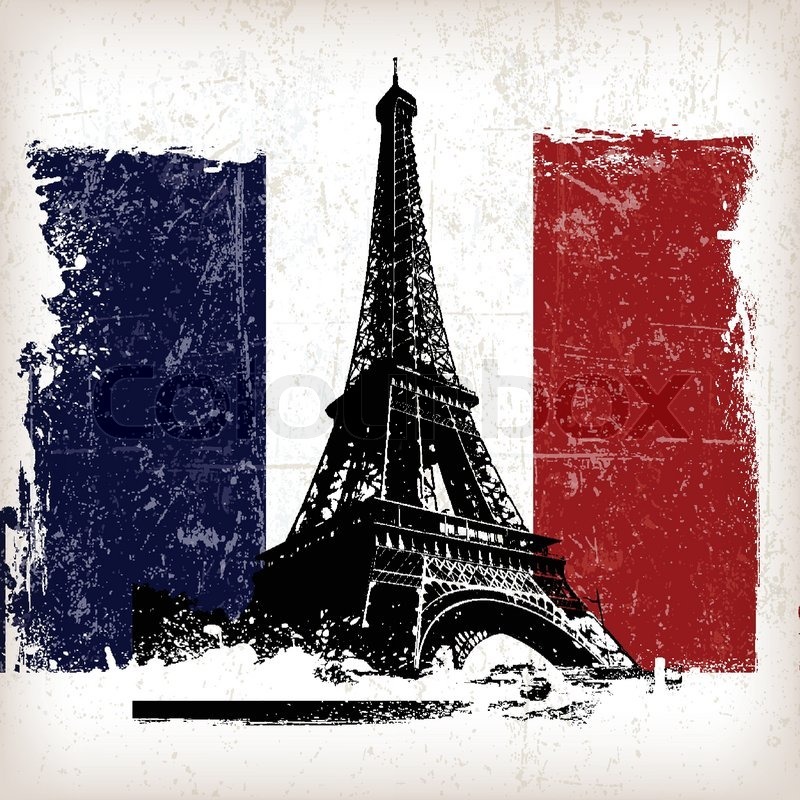 On facebook, many people turned their images picture into tricolour color for praying Paris. I changed it as well as other people, but this thing cause many controversies. Because some People think that there is much terrorism in other countries as well, and many people died such as Syria. Why don’t you pray for them? Why do you pray for just France? That is unfair. The value of human beings should be same. For sure, I understand this opinion. Of course, every person should be same. There is nothing which one is superior or not. Yet, I think most people don’t think which one is superior or something like that. There was a campaign about terrorism in Paris, so they changed their images. Some people might change them because of cool somehow, some people might change them because of praying sincerely. Every person has a different thought. What I want to say is that it is not good to argue about this before you know the reason why they changed images. In my opinion, I think those who changed their images for praying sincerely don’t think discrimination. However, Those who changed their images because of cool should know what happened and what do you think about this terrorism. The reason why I changed is that I thought If I changed my image, my friends who don’t know this matter would think why everybody changed their images, and they would look for why. This matter is not only France’s problem but also all over the world’s problem. So I think everybody should think about it. It is free to change your images, and it’s up to you. But, if you change your image, I think you’d better put your thought besides. I Pray for every hurt victim by terrorism. Today, I’m going to talk about one of my important things. That is a relationship. Although I stop studying in my university, after this semester, I’m going to go back and restart to study. My major is sports science. Especially, I study about the trainer. the Trainer is that when a player injured, we do first aid and make rehabilitation program. In addition, we make a training program for the player who want to improve his or her ability. The reason why I choose this major is back to high school. I have played soccer since I was a child. I had many injured through playing soccer. When I was the second grade in high school, I injured the ligament of my left knee. It was the worst injury I have ever experienced, but there is a trainer in my high school soccer team. He took care of me too much. He made rehabilitation program for me, and when he came to school, he asked me my condition every time. After four months I got injured, I restart to play soccer. Thanks to my trainer, my ability was really improved more than before I got injured. I thought without my trainer I couldn’t have put up with rehabilitation. He gave me motivation and purpose to do rehabilitation. He turned my worst experienced into best experienced. I thought I wanted to study trainer because the injury gives you a great chance to change yourself. I thought I want to help them. My most decision is affected by people who I met. That’s why, it’s important for me to take care of my relationship. sometimes people make me happy, sometimes make me mad, sometimes make me sad. But, people make me grow up, so everyone who I have relationships is really important for me. It never changes in my life. Boby’s article inspired me. My study abroad is different from others. Most students came here as college students or exchange students. I’m not both of them. I’m a Japanese university student, but I decided to stop to study in my degree program in japan for a year and to make a plan which university I go to or something like that. Originally, if I continue to study in Japan, I have to look for jobs to work after graduated. However, I decided to come to the U.S. The biggest reason to come to the U.S is that I wanted to meet many people who come from the various country. As you know, Japan is Island, so it was hard for the foreigner to come to Japan in past years. Recently, the number of foreigners is increasing, but Japanese still get nervous when foreigner try to talk to them because we rarely meet to them in Japan. 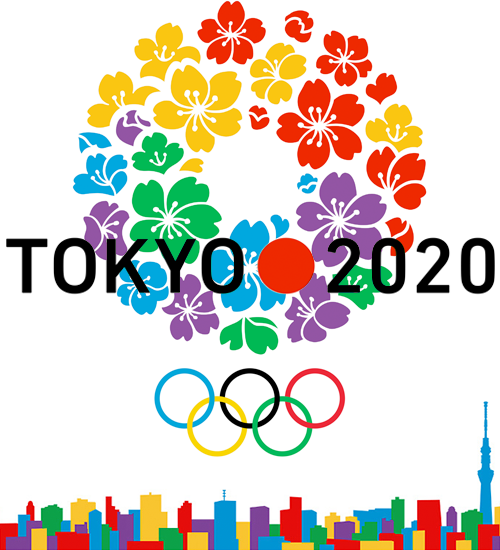 In 2020, Tokyo Olimpic is going to be held in Tokyo. Actually, I’m already excited too much.In addition, I expect many foreigners will come. I want them to enjoy Tokyo Olimpic, but there are many Japanese who can’t speak English or who avoid foreigner because they don’t have the confidence to speak English. I thought I don’t want to be like that kind of people. I thought I want to tell them how much awesome Japan is. I want them to enjoy in Japan at least the foreigner who I will meet. In order to do that, English is necessary, and by 2020 if I go abroad for a long time, I thought now or never. That’s why, I came U.S. Actually, I have many other reasons, but I can’t write here because those have really long story. I went to Chicago trip with ESL friends. First of all, I just want to say that I like Chicago. Even though that is one of the big city in U.S, traditional and modern are mixed in it. 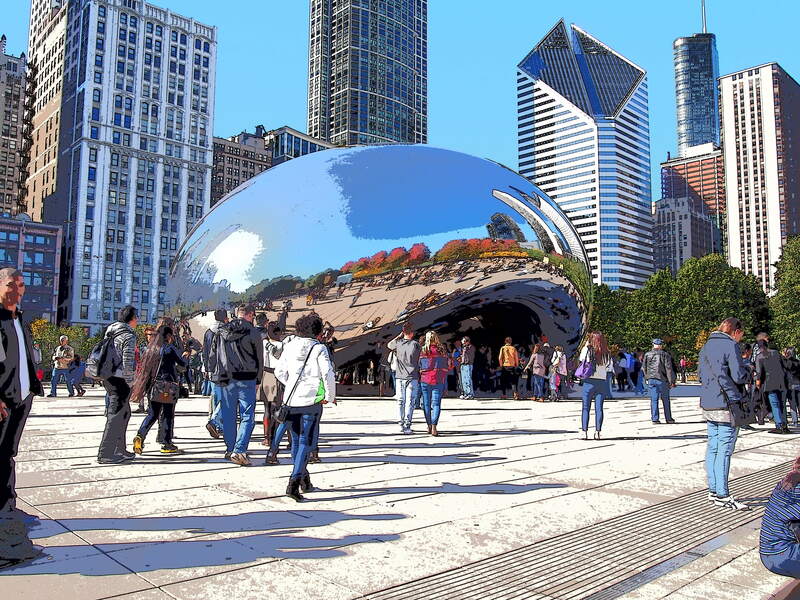 We went Chicago for 2 days, but actually it was not enough for us. 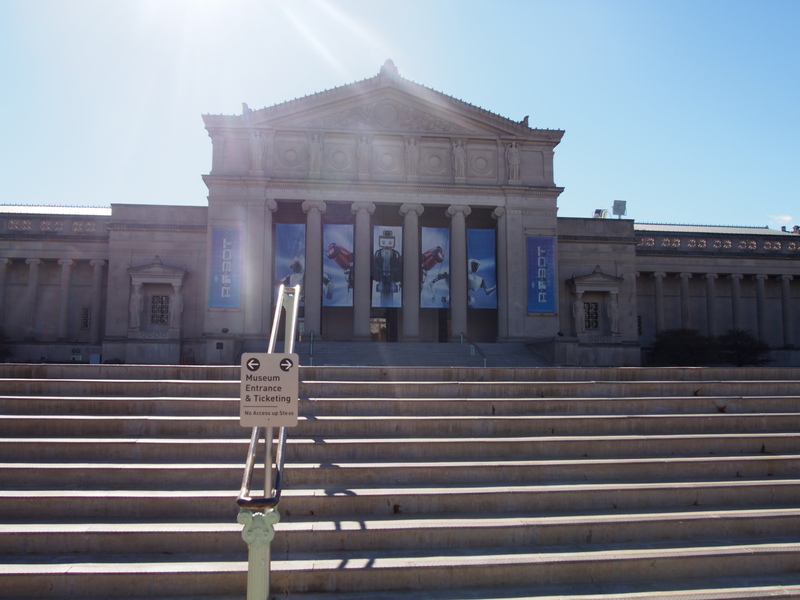 We went to some famous places in Chicago.All of them are attractive for me, but among them, my favorite place is the museum. There are a lot of exhibition in it, so I couldn’t look around all of them, but I was really enjoyed. The museum is pretty big and looks really magnificent, but inside is really modern. Especially, I like scientific zone. It’s like the thing to use the magnet or electronic stuff. I like to experience something actual, not just look around even though I don’t know well about the basis of science. That’s why, I liked and enjoyed the museum. In free time on Saturday, I walked along the Michigan Street. There are many stores on that street. Actually, most of them are clothes shops, or restaurants. I didn’t buy a lot of stuff, but window shopping really enjoyed. I bought $5 knit cap, that’s it. I ate Shake Shack burgers for dinner on the Michigan street. I’m tired of American food, but Shake Shack is different from others I want you to eat Shake Shack burgers. You should eat once. you will like it. Before I went to Chicago, I decided to take a picture for a profile picture on facebook. I achieved. I will change my profile picture on facebook later. Chicago became one of the favorite city in U.S.
Today, I’m going to talk about real “Japanese food”. There are a lot of Japanese restaurants in the US, but I think most restaurants are mixed with Chinese taste. I like Chinese food, but if it’s mixed when I wanted to eat Japanese food, it wouldn’t be tasty. Also, there is a California roll in the US, but I don’t admit that is Japanese sushi. That’s why, I’m going to introduce my favorite real Japanese food. First of all, I introduce “Okonomiyaki”. 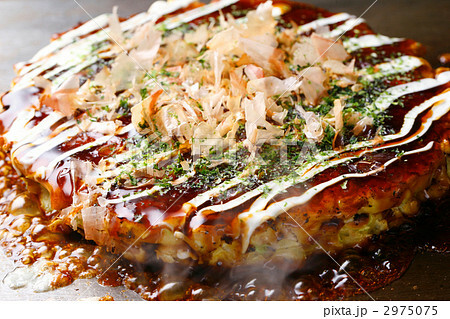 This is an okonomiyaki. The flour that mixed water is base, and you can put whatever you like in it. Basically, there are pork, seafood, cabbages, leeks and eggs. it is baked on the iron plate. After it is baked, original source that is similar to teriyaki sauce, mayonnaise, and dried bonito put on it. If you come to Japan, you should go to the okonomiyaki shop. There are many okonomiyaki shops that you can make okonomiyaki by yourself. Second is Japanese ramen. I love Japanese ramen. Japanese ramen has a lot of taste. For instance, salt, miso, soy souse, pork, miso butter, and so on. 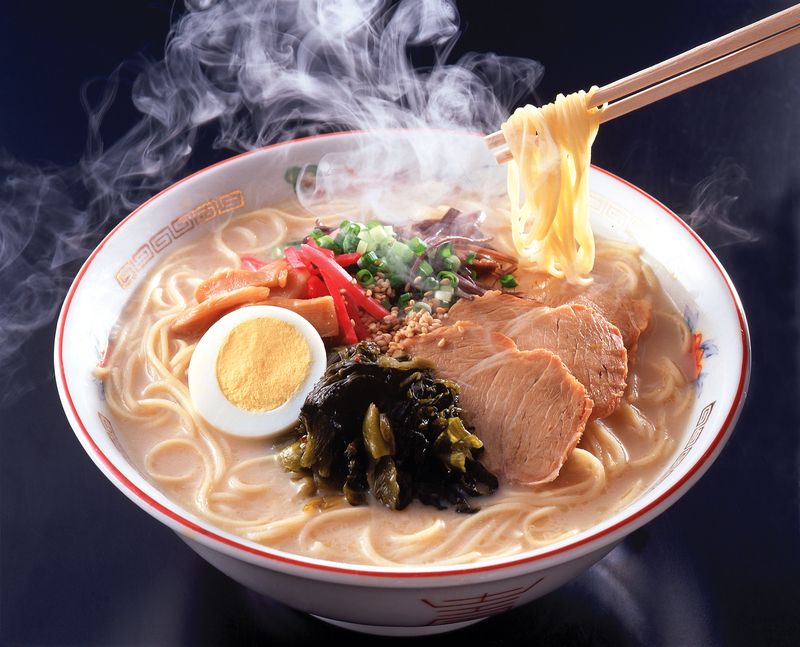 Ramen has a lot of taste and the thickness of noodles, so you should try a lot of taste and thickness. Instant noodle also has a lot of taste. 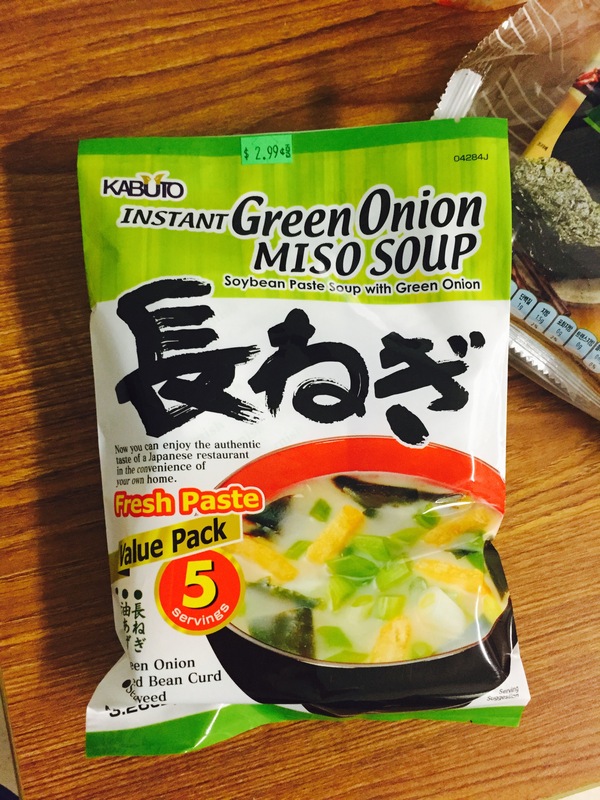 If you go to Japanese grocery stores or convenience store, you will surprise. 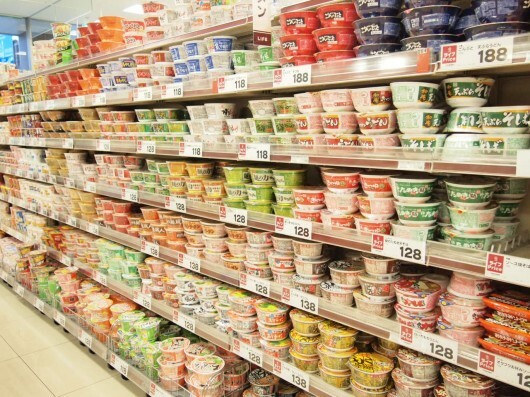 These are all instant noodles. Actually, this is not a good picture to show you. I think there are more spaces to lie on instant noodles. Instant noodle has not only ramen but also spaghetti and yakisoba. 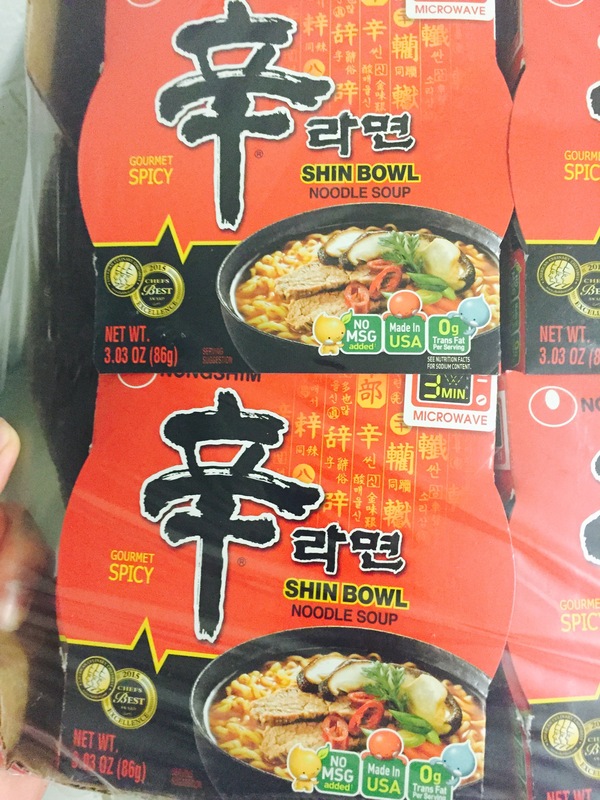 I love instant noodle because of price and taste. 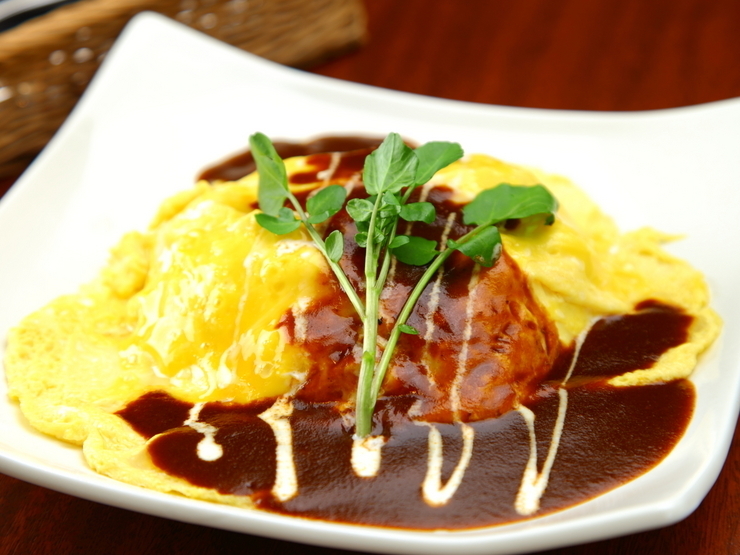 Finally, I recommend “Omuraisu”. This is a really delicious food that chicken rice is wrapped by baked egg. I like ketchup one. If you like ketchup and egg, you must be like this. 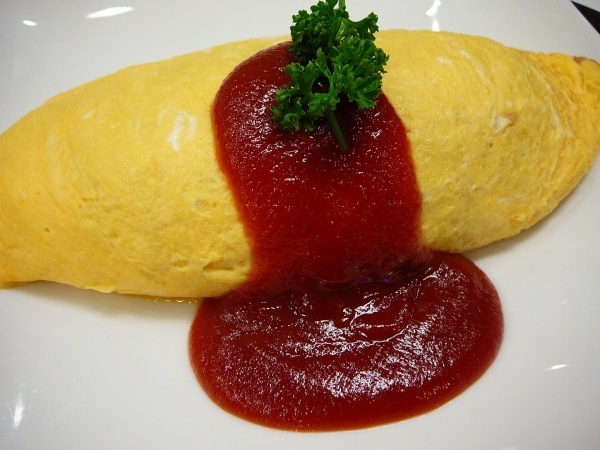 This is familiar to be basic “omuraisu”, but recently it is getting popular to be half cooked egg. I prefer basic one though. Japanese food is not only sushi. There are many Japanese foods. Sushi is used raw fish, so some people may not like that. 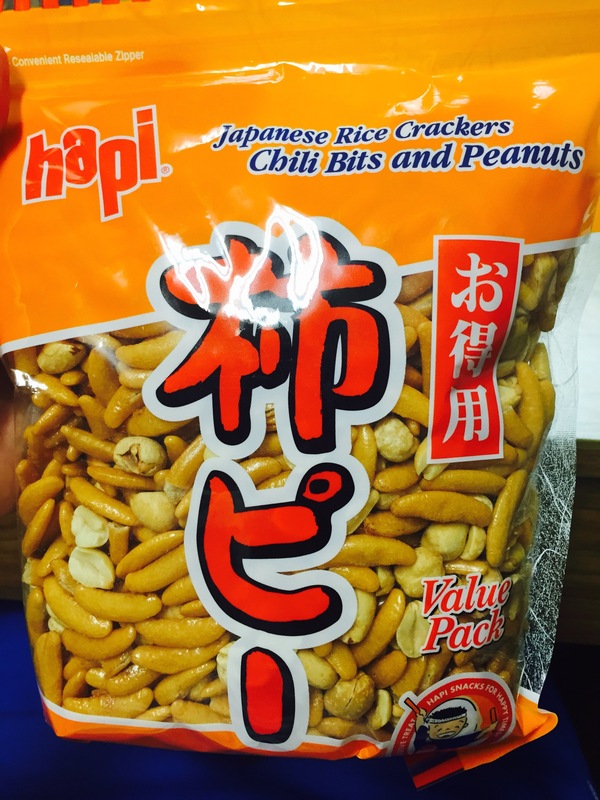 However, the foods that I introduced are not used raw material, so you must come to like. 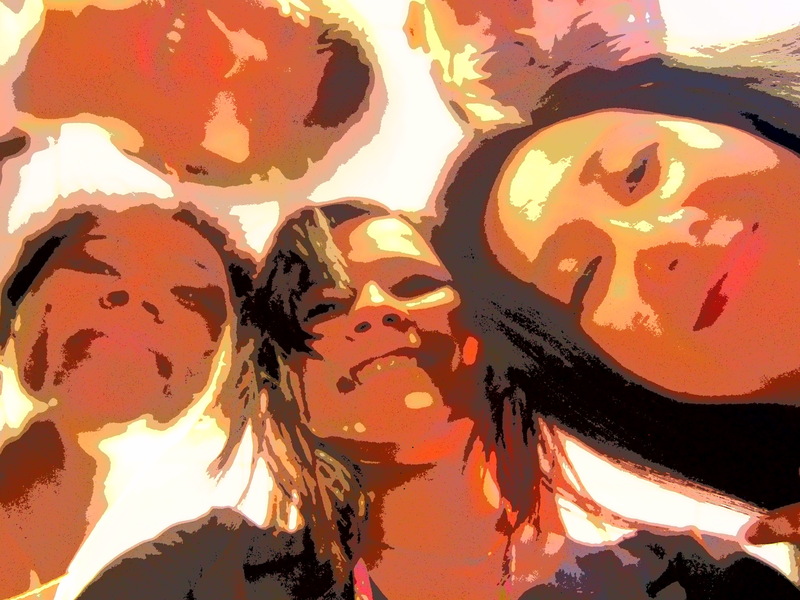 This Saturday, I went to Korean market with my friends. That is in Iowa city.It took 2 hours by car from here. 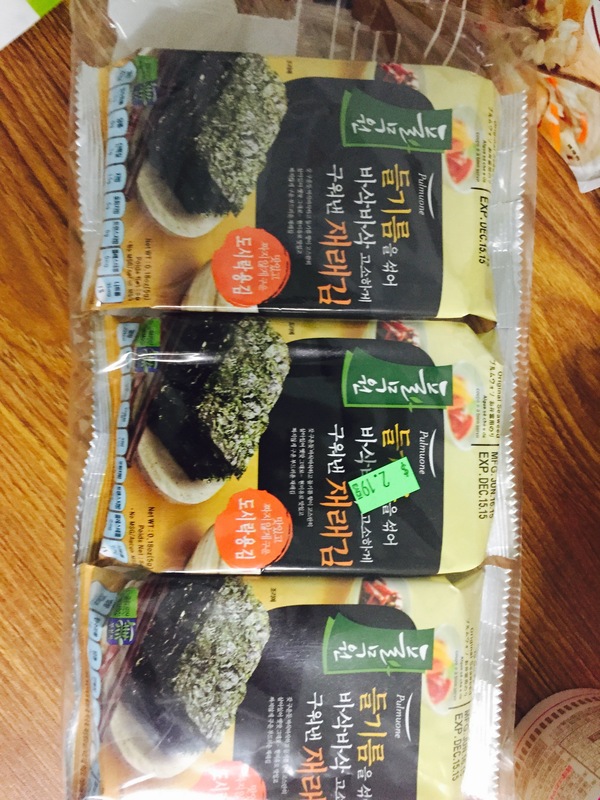 Even though name is Korean market, there are a lot of Japanese foods in there. I’m tired of American food, so when my friend asked me”Do you want to come with us?”. I said “Yes” immediately. I looked forward to going there, so I was excited. Because it’s been a long time to eat Japanese food. There were so many Korean, Japanese, Chinese stuff. I couldn’t decide what I was going to buy. Actually, I wanted to buy a lot of stuff, but those are imported stuff, that’s why They are so expensive, so I had to choose What I was going to buy. After I thought over it over and over again, I decided to I bought noodle, miso soup, and Japanese snack. I love all of them. I’m going to eat little by little. Korean market was so fun place. I want to go there again if I have time.